Michelle M. Funkenbusch, Saint Louis personal injury lawyer, has successfully represented injured plaintiffs throughout Missouri. She has experience in most areas of injury cases, having tried cases in Missouri since 1999 and assisting on trials since 1996. She is a member of the million dollar verdict club and treats every case as if it were her own. Don’t just be a “number” at the big advertising firms that will treat your case like you are in a drive-through. Michelle often gets hired after people fire these big firms. Clients at those firms feel neglected. She often hears that lawyers are pushing them into an unwanted low settlement because the big firm only wants turnover and not the best result. Local Trial Counsel on Walter Huggins v. Fed Ex Ground which was tried in December 2010 in federal court in St. Louis, Missouri. Won $1,050,000.00. Trial Counsel on railroad crossing collision case representing truck driver and trucking company against Union Pacific railroad. Won $600,000.00 plus verdict after two week trial in St. Louis City. Settlement prior to filing suit for $500,000.00 against railroad company for a dangerous railroad crossing where a minister was hit by a train at an unprotected and dangerous crossing. Worker’s Compensation: In Spring 2010, won award for employee of trucking company who sustained multiple injuries from a fall and who was denied medical treatment. Michelle was able to prove the work-related accident was the prevailing factor in causing the employee to sustain his injuries and won an award requiring the employer to pay all outstanding medical bills, to pay over $47,000.00 in back temporary total disability weekly benefits, and an order requiring the employer to provide medical treatment and temporary benefits in the future. The permanent disability case is still pending subject to the client completing treatment. Negotiated confidential settlement of a discrimination claim an employee had against her employer who refused to give her reasonable accommodations to assist her in her job when she was recovering from a breast cancer operation. 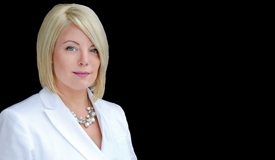 The aggressive nature, integrity, and experience of Saint Louis personal injury attorney, Michelle M. Funkenbusch, is who you need on your team! Contact her today for a FREE consultation about your case. Can a Defense Lawyer Call My Doctor?